"The process of discovery is often messy"
I imagine many would echo my thoughts, that it's hard to believe that this class is done! Whew! About 3 weeks ago while I was in the middle of creating the Course Prototype, making the videos for the modules and experimenting with embedding features into Moodle, I felt like I would never finish. But here we are! Initially when I started the course, I thought I knew exactly what I was going to do. My vision was to continue developing the vision for the Faith Based Digital Citizenship. I had some experience building resources in Moodle, but I was still pretty overwhelmed every time I worked in the platform. And quite frankly, I was quite reliant on others like my colleague, Kyle Webb to help me. Soon I started to realize that I had to do this myself, and that I needed to stop worrying about "messing things up", and instead tried to figure out things for myself (although admittedly, it was nice to have Kyle around to call upon if I was really stumped). This change of mindset really seemed to make a difference in my adoption of Moodle. (Which is kind of funny, as teachers we always preach the importance of Growth Mindset for our students, so you would think that we would naturally demonstrate this! Hmmm...). When I changed my mindset from the whole notion that Moodle was limited, and there was nothing I could do about it... to instead, that it was up to me to make it better - things changed. I stopped feeling limited in this platform, and instead started seeing it as just a solid foundation that I could build upon with what I wanted. 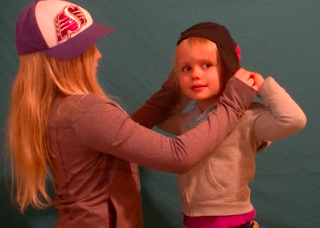 This was definitely a turn around - a liberating moment in my design process. Soon I started looking for ways to bring in tools like Mentimeter, Flipgrid and Office 365's Sway, which allowed for unleashing even more student voice. I didn't have to just stick to the Discussion Forum in Moodle which seemed a bit awkward. So instead I looked for ways to connect conversations online and offline in platforms that would work better. The Course Profile assignment was a great way to really solidify my intentions for rolling out this course to my school division. A few individuals who provided feedback commented that it was quite detailed (in a positive way! ), but I'm okay with this. I started to see the Course Profile document as a way to provide information to teachers and administrators about every aspect of the course. From the vision and rationale to how we would accommodate EAL learners. Admittedly, it was long, but I started to see the document as information as to how teachers will want to approach the course. Initially when I had envisioned the faith-based digital citizenship course, I wasn't sure of the best way to explain the rationale and considerations for teachers implementing the course, but this document could provide a good beginning. I might consider hyperlinking anchors within the document, so that teachers may skip down to areas they are interested in, thereby making it easier for teachers to explore the content they found most relevant. First off, I was really impressed by the feedback that I received. It's very rare as a teacher to receive detailed feedback on instruction, so the time and effort in providing such thorough comments was appreciated! The following were a few points that I noted and will be acting upon in improving my course. A few people commented that the Navigation menu on right was very confusing. Yes, I totally agree. I tried to hide what I could, but I don't have the administration rights to change this for Learning Online. I will have to talk to the RCSD Learning Online Coordinator about options to hide more. Overall, the comment that seemed to be echoed the most was the challenge of navigating Moodle, which was what also bothered me about this platform. Although at this point, I am limited with how much I can do to fix this. I will definitely pursue how to make things less overwhelming with the Learning Online Coordinator. It is possible, that this can all be easily fixed, and I'm just not sure how to do it. In addition to this, it might be beneficial to have a video screen-cast for students that would provide a quick overview in how to navigate the space. I have an interactive e-book with that information with an audio file and images, but perhaps a screen-cast would be better. One person suggested a teacher reviewing how to navigate the course, prior to students getting started. This was a great suggestion, so I will be sure to include this in my information to teachers. Others noted that in spite of the navigation debacle on the side, there was a flow to the overall content of the course. smaller, so they don't break up the content as much. I don't want to eliminate them all together, as I want to reinforce the faith connection to the course. Overall the feedback on the actual content was very positive. I appreciate the critical eye that my evaluators took in examining the prototype. As I mentioned before, I will definitely act on the feedback! I appreciated the feedback on my course profile. Indeed it was long, but overall it was noted that the detail will be beneficial for teachers intending on integrating the course into their plans. One comment that one evaluator made was that they could see the potential for teachers to personalize the course to the needs of their classroom because of the blended approach. Hopefully this is the case. I don't want to go on and on about the feedback. It was just nice to see the comments about how the course would definitely engage students and be easy for teachers to implement (with a little Moodle training of course!). In order to see the journey from a blogging point of view, here are the links that show the process, as well as the general topics explored in each blog post. What are the intentions behind using the platform? Well that's it. Sort of... I still have yet to share the Summary of Learning. This might be my last online course for grad studies. 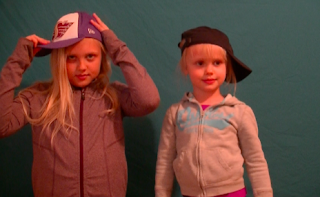 Over the last three classes of the Couros-Hildebrandt variety, I have maintained this blog. Even when I felt pressured to move to Word Press and join the masses who were having fun with their ping-backs and Wordpress-frivolity, I'm glad I stayed on with antiquated, non-updated Blogger. It's been a good space for the final chapter in my slightly outdated book. When I started blogging as a classroom teacher, back in 2007, I used Blogger (and alas, it hasn't changed much). So it seems right to make this the final chapter. Okay, this is really weird, I'm feeling sentimental over a platform. Anyways, even though we're at the conclusion of this class, and there will be no more blogging (sorry, but... whew!) I look forward to connecting with many of you on Twitter! 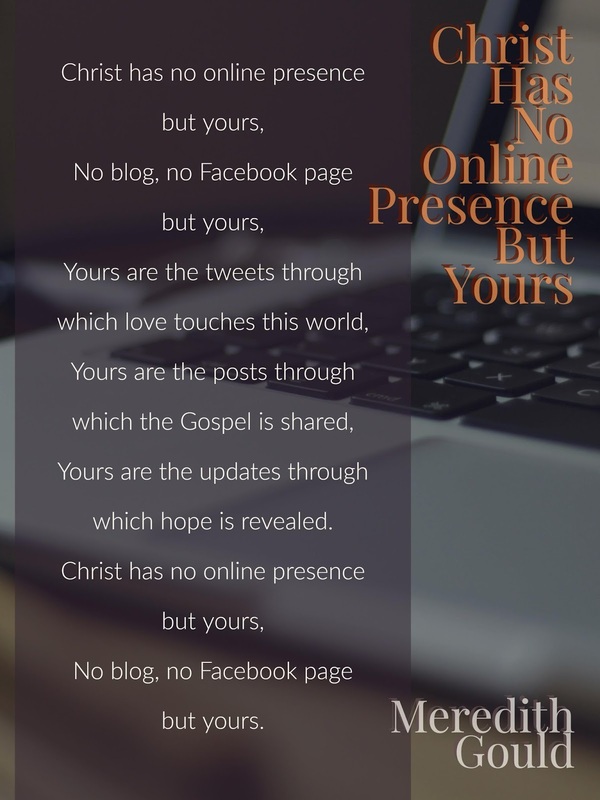 In this course you will explore a Faith-based Digital Citizenship. This course is designed for grade 7 and 8, is cross-curricular and fits within the umbrella of Practical and Applied Arts. In order to examine the course, please take some time to review the Profile (see below), where the plan is outlined for rolling out this blended program to the students of the Regina Catholic School Division. *Note: The Outcomes Map was part of the Course Profile document, but due to the dimensions and layout online it was better to include this separately. If either document is hard to view, be sure to click on the expand screen button on the bottom right corner. You can also download the document if needed. In order to view the Prototype, you will visit the Regina Catholic Schools Learning Online Moodle Platform, where you will have the opportunity to login as a guest or through a test student user credentials. (The test student user credentials will be provided to you via the google form, via Alec and Katia.... and as part of the security of the Learning Online site, I will not put them on my blog.) Here are directions for logging in as a guest. When you visit the course, you will notice that the shell is built and that most modules are completed. There are modules for each of the 9 Elements of Digital Citizenship, as well as an Introduction, Assessment Tools and Teacher Resources. The course is designed for a blended environment, and has the flexibility that would allow teachers to teach either the course in it's entirety, or in individual modules throughout the year. With the end of the year culminating with a Digital Service Project. What you will see represented are modules for 5 elements of the Digital Citizenship continuum that I worked on. Although the course is not completed, I will be finishing the remaining 4 modules in the next 2 months. To be Open or Closed in Online Learning… that is the question. Indeed. Is Learning Better with an Audience? I have thought about this question, quite a bit over the last few years. The approach that I have taken to open learning, has always been relative to the age and needs of the students or the learning context. First, let me begin by sharing my own experiences as a student and how it has transferred in my approach with open learning with students. As a student, I have had mixed feelings about open learning. Some aspects I appreciate; others feel a little intimidating. I enjoy connecting via Twitter, the Google Plus community and reading the blogs of others and their reflections on their learning experience. Twitter and Google Plus are great spaces for quickly reaching out to share or ask for help. With the open nature of Twitter, asking for help is as easy as asking the whole Twittersphere for assistance. Or relatively, depending on the hashtag or your follower’s willingness to retweet your post. With Twitter it can be a bit like saying something in a crowded room, no one will hear you unless your message is repeated. Unless of course you have people in tuned to listening as your followers. In the Google Plus closed community, such as in any of the CourosHildebrandt classes, if something is shared, you voice will not be drowned out by the noise, as the room is much smaller. So which one is preferable? I love both. Honestly, one of the platforms that has truly ignited my own learning regarding what is current in Educational Technology, Growth Mindset, or Literacy has been Twitter. People often will say, I don’t get it, how does Twitter offer this? And I often respond that it’s all in the people you follow, and if you engage with the content or the ideas that are shared. Basically Twitter and Google Plus are fantastic spaces for connecting and sharing. Now when you look at encouraging deeper reflecting, blogging is a better space for this. Blogging goes hand-in-hand with reflection. How often do we actually sit down and log our thoughts? As teachers we reflect on the learning of our students and their growth. But how often do we actually reflect on our own growth as a learner? The truth is, unless we are taking a class, we don’t take time for it. (Then again who can with the demands on teachers!?) 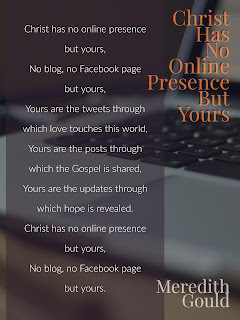 That being said, do you need a blog to reflect? No. But as George Couros says, “Instead of simply dumping information into our brains, we have to take time to think about what we are learning and make meaningful connections.” In addition to this, when you record your insights and reflections are you potentially helping others in their growth? Maybe. But it doesn’t matter, the purpose of blogging is not just sharing with an audience, it’s about a space for deepening your own thoughts. Sometimes as I wait in anticipation of comments from others, I have actually had to remind myself of all the tenets of blogging. It’s about personal introspection and growth, not just audience. What are the Intentions Behind the Platform? Now when you look at the learning of our students, do all the same rules apply? Does openness increase authenticity of learning? 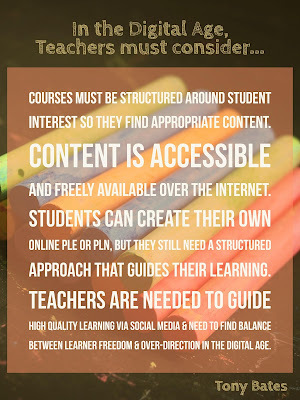 It all depends on the intentionality for engaging and learning online. Is the intention to have students share their learning with the world, and take learning beyond walls of the classroom, or is it to get noticed or outside affirmation? I ask this honestly. But is learning more meaningful in an open or closed space? It really it all depends on the context. Context being the age of the students or the reason for the connecting. Authentic learning is guaranteed neither in a closed forum or in an open platform. That being said, when students engage they have to feel like there is a purpose for the activity, and that it matters. By creating discussion forums whether it’s through Google Plus, Twitter, or blogs a new focus develops… audience. No longer is the teacher center stage, they all become active participants. And honestly, for many of our students going on stage when you have silently stood in the wings can be pretty terrifying. Engaging in a discussion forum gives everyone a voice. A space to share their thoughts and insights. 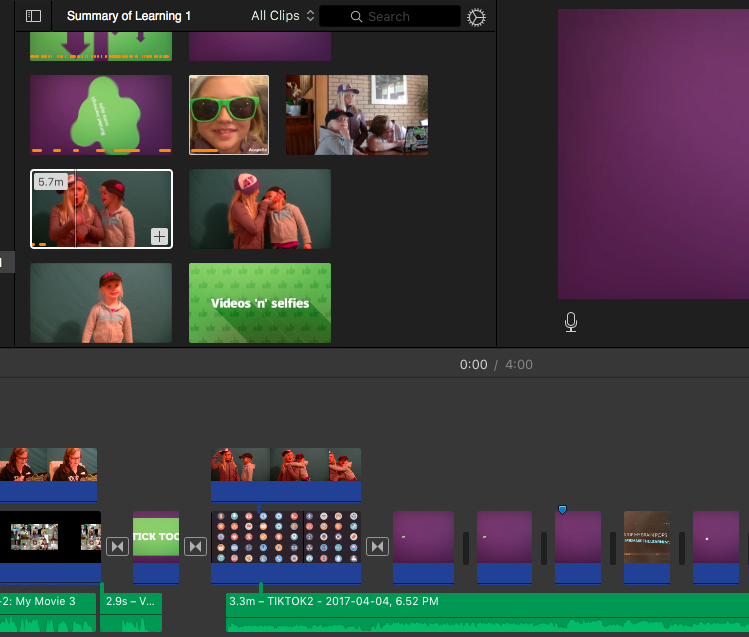 When you start bringing in tools like Flipgrid, where voice is not encumbered by how well you can write, a new level of connecting can emerge – as natural as speaking. All of these connections may be made both in a closed – members only platform, or it can be opened up. 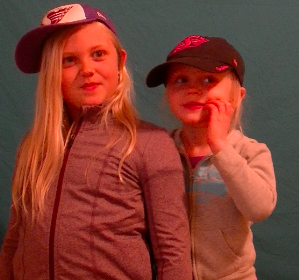 Authenticity is not guaranteed if we open it to the online world. However, learning with the world watching, can add another aspect worth exploration. Student Voice - Unfiltered. Better? When I consider blogs like Kathy Cassidy’s Classroom blog or Pernille Ripp’s, Learning in the Fourth Dimension blog you can explore student work/reflections that are teacher selected and moderated. Blogs where the students are the stars and their voice is shared, but through their teacher. Which is appropriate, the learning is moderated (for safety), but there is obviously authentic learning happening. In both cases you can see evidence of how both teachers connect with others throughout the world using Skype, Twitter, email or blogging. But this makes sense, as it is relative to the age of the students. As the students get older, and develop a greater understanding of digital citizenship, and how to engage in the online world then teacher moderation can be reduced. Of course this all depends on recommendations/requirements of parents and school divisions. But if you look at blogs such as Paul Solarz’s grade 6 classroom blog, What’s Going On in Mr. Solarz’ Class?, one can see not only what they are learning, but greater depth with his students e-portfolios and reflections. Which is powerful. It’s not just the teacher’s voice that is heard – but the students. Perhaps this is what leads to greater authenticity… in being able to hear the student’s voice – unfiltered by the teacher (although for safety, most likely moderated by the teacher…). In my own experience when I have a chance to read or listen to a student’s reflections of their growth and learning in an online, it’s so much more powerful than just that short parent-teacher-student conference that lasts 10 minutes. Mainly because the conversation is captured and can be saved for reflecting back on one’s growth. I know even for myself, using the same blog for the CourosHildebrandt class has allowed me to look back on my growth over the last 3 years. Furthermore, it has provided a good opportunity for me to share this with students when we discuss the benefits of blogging. Safeguards? Of course... That's What Digital Citizenship is About! When we look at opening learning and classrooms to the world there needs to be safeguards. Not just because administration demands it, but because we have to ensure the safety and well-being of our students. Just as we would have procedures and safeguards on a field-trip, going online is the same thing. Experienced bloggers like Cathy Cassidy have safe guards. She does not directly give her students’ full names or school. It is apparent that with her efforts to make learning visible, she ensures the safety of her students. As we move towards more teachers celebrating the learning of their classrooms online and increasing visibility, I think that we need to ensure that we do not lose sight of safety. Most administrators are very supportive of student and teacher blogging, provided that the teacher understands how to keep students safe online etc. Which may seem rather obvious, but I have seen blogs where the school location, place identifiers or student full names are provided online. When we look at open learning, such as through student blogging and flipped learning, most administrators are supportive, in many cases, the main question that comes to mind is the accessibility to shared devices to support the course. If a teacher is going to an online learning model, there cannot be the expectation that they would automatically get the school shared devices. Nor can it ever be assumed that students can bring them from home, regardless of the community where the school resides. There are really no easy answers to the question, whether or not learning is more authentic as you move into the open. It all comes down to teacher understanding, student age, context of learning and the intentions for making the learning visible. Once these questions are addressed, then the teacher can make that decision. How’s that for an ambiguous response to the question! Check out this TedTalk, When Student Voice is Heard: Andrew VanderMeulen at TEDxYouth@WISS. Andrew VanderMuelen explains the importance of the future of learning for students when their voice is dominant. Worth a watch! What are your experiences and insights? I would love to hear them! Over the past week, I have been working not only on my course prototype for the Faith-based Digital Citizenship, but also helping to nurture an interschool digital book club, or otherwise known as, “The Digital Dystopian Book Club”. So it is actually quite timely that we are examining forms of student/student-instructor interactions in this week’s blog post (actually this was for last week, I’m just a week late in composing this post). One thing I have learned in trying to nurture online book clubs is the importance of establishing expectations. This doesn’t just mean share the expectations, but ensure all stakeholders (students and teachers) understand and buy-in as well. In this interschool book club community, we have several ways of sharing in place for both teachers and students. Although the book club is not my course project, there are several things that I have learned that I will definitely be applying to my course. In addition to this, there are some things that were shared in the readings last week that I will also be integrating. The first item that needs to be acknowledged, is the importance of making sure that everyone understands how to navigate the online space. This means whether you are using Today’s Meet, Kidblog or a Moodle Discussion Forum, all members of the community must understand not only understand the logistics of how to navigate the space, but also the established expectations or norms. So to get ready for the interschool digital book club, as teachers we ensured that all the teachers understood how to navigate Kidblog and Today’s Meet, and that all the students knew how to participate in the asynchronous and synchronous discussions and reflections. So how can I apply this to my project? The importance of How-to documents and videos (as well as face-to-face training), especially because other teachers and their students will be using this course in their classrooms. Although Flipgrid and Today’s Meet are quite intuitive, Moodle is not. engage in the community. 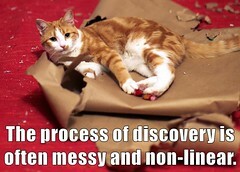 Perhaps this is a little more challenging than just understanding how to navigate the online space. For the digital book club, we used a collaborative OneNote notebook, then had discussions face to face and via Skype when establishing student expectations. Later the expectations were shared with students via the teacher’s blog and face-to-face. Going forward with the Digital Citizenship course, one thing that I learned from the Yuan and Kim article, “Guidelines for Establishing the Development of Learning Communities in Online Courses” and from the Edutopia article, “Mastering Online Discussion Board” is the importance of students being involved in establishing the norms and expectations of the learning community at the beginning of the course. Which makes sense, as teachers would also have students involved in the establishment of classroom expectations and procedures at the start of the year in non-digital learning environments. Therefore, in order to have student ownership and engagement in creating the learning norms and culture, it makes sense that this practice would be mirrored online. For this reason, as one of the introductory activities, prior to getting into the course content, there is a group activity that will be conducted partially face to face and online (to reflect the blended nature of this course), where students will brainstorm and create these expectations and needs of nurturing online engagement. The hope is that this will not only set the tone for engagement but hopefully establish a sense of partnership. This leads to my third consideration in establishing a learning community, make sure all participants feel that their contribution and voice is valued. Regardless if the classroom is online or offline, there has to be consistency in following the established expectations of the community, but even more important than this, there must be a sense of trust. This means all voices count - and that the teacher’s role is to guide and lead from alongside the learner, and not just control from above. With a changed role of the teacher, this can lead the establishment of a non-traditional learning community, where all members can be teachers and learners. This shift has been evident in the digital book club. For some teachers, engaging in this type of project has definitely moved them out of their comfort zone. But what is really fantastic, is that the students are able to see that they play a role in helping their teacher learn how to engage in this new platforms for sharing. By taking risks and finding new ways to bring the Internet into learning, students of the book club will see other ways that they can integrate these online spaces for more than socializing. Just as Rochelle says in her post, “If we begin to teach them at a young age about how to use the Internet for good, then that will last them their lifetime. But, if we shy away from it, then what are they missing out on?” To further Rochelle’s point, if educators don’t take the risk, how will we help our students make the connection between socializing with others online - to learning with others online? Whether it is online or offline, the role of the teacher is to establish the framework of what will be learned as well as provide on student progress. However, for effective ownership of learning, students must feel that their voice counts and that their questions and interests are recognized. This is where I see the blended model being especially valuable in my course. Even though it will be one where the teacher signs up their class, they get trained, then they start - The course should still reflect the needs and interests of the students. So how do you do that? How do you personalize a predesigned framework? I suppose it’s all in the course design… create one so that the students care about the content. In a post by Danielle, she said, “the best way to have student interactions that are meaningful, relevant and supportive, is to have the students engage with relevant content and actually care about what they are talking about”. Perhaps the key to establishing a learning community is to give the students the opportunity to talk and make personal connections to what is learned - later the content will be shaped through these connections and what is brought back to the learning community. In addition to building the Community Learning Expectations, students need to be explicitly taught how to participate online - it can't be assumed that they will just "know". This means not only how to effectively engage in synchronous discussion, (ie. stay on topic), but also how to meaningfully contribute to the posts of others in asynchronous communication such as blogging. 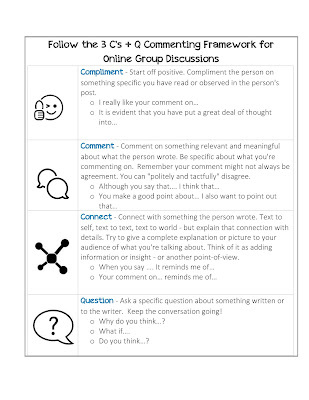 In previous blog posts, I explored the 3 C’s + Q Blogging Framework, for the digital book club, we not only teach students how to comment effectively, we model it as well. By modeling the effective commenting structure, we ensure that students get meaningful feedback and that they see the framework in action. Therefore, for the Digital Citizenship Course, the 3C’s + Q format will be examined for both Flipgrid and in the Moodle Discussion Forum. Overall, I am fairly happy with the spaces I have chosen for student interaction. Moodle is not exactly the easiest to navigate, but it fits in well with the format we have already established for Learning Online and will serve well for sharing the content of the course. Plus, it is flexible space for duplicating and sharing courses with other teachers. 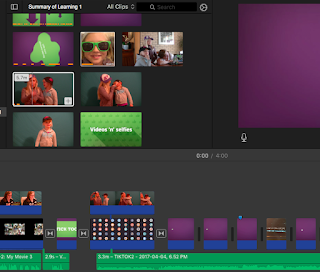 By combining Moodle with a paid version of Flipgrid (although I will incorporate options for the free version) there will be many opportunities for establishing a space for student voice. My goal is not only to have students share thoughts in the Moodle Discussion Forum but also collaborate via Office 365 tools such as Sway and shared documents. In addition to this, students will also use other online tools for creating artifacts of their learning. However, I suppose I might leave exploration of these ideas for another blog post! In closing, I would love to learn more about how others are encouraging spaces for creativity in their courses. So, how are you encouraging creativity and other digital literacies in your course? I would love feedback from members of this class regarding what else needs to be included for students. My goal would be for teachers to share the expectations below in person, but also provide these documents via Moodle. Theodore Roosevelt once said, "No one cares how much you know, until they know how much you care". Even though Roosevelt wasn't a teacher, his sentiments certainly epitomize exactly what it means to be an effective educator. How do I create a blended learning course, that other teachers can use in manner that encourages meaningful and authentic learning for students? Apparently building a connected, community of learners is something that is often considered by online educators. In a guest post on the BlackBoard Blog, "3 Tips to Connect with Your Online Students" by Josh Murdock, he states, "One of the hardest adjustments for students transitioning from a traditional classroom to an online environment is feeling connected to their teacher." In the post, Murdock shares his tips for connecting and developing a relationship with students in online learning. This is something that I have been considering quite a bit lately as I develop my own course. Tip #1: Create a community from the start. Murdock says this means developing a sense of connection between yourself and the students early on in the course through an introduction discussion. He also says that it's important to ensure that our own comments to students are personalized and not "cookie cutter" responses. of blogging for learning. Blogging about books, blogging for Learning Portfolios, blogging with other classrooms, blogging with experts... You name it, I want to blog about it with students. One thing I have learned, is the importance of modelling how to respond. If I make the effort to engage in meaningful dialogue or commenting beyond, "Great post... Keep up the excellent work! ", then my students put in the effort too. Which of course makes sense, as this is what effective feedback is all about. 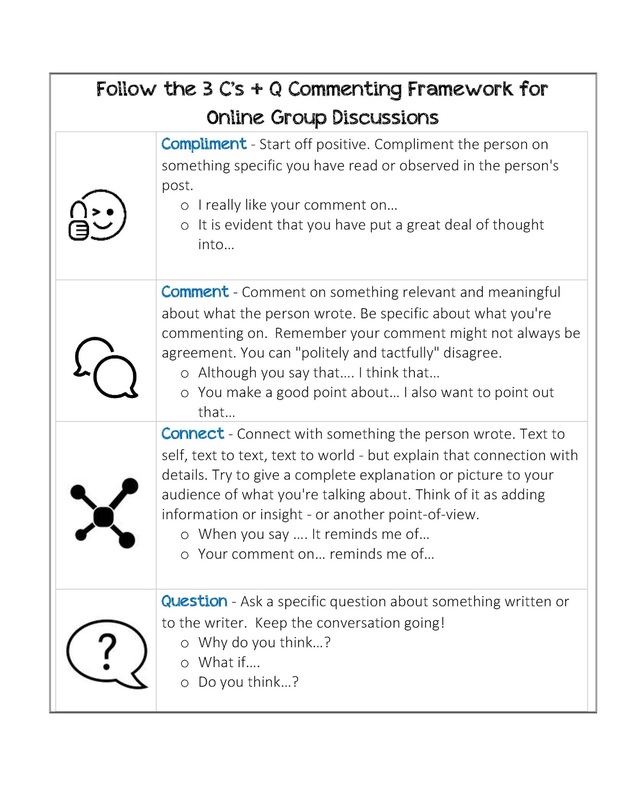 Through experience, it became evident that the best way to encourage effective online conversations was to use this framework: Compliment, Comment, Connect and Question - which was eventually shortened to 3C's & Q. Now any classroom I work with follows this commenting framework, and honestly, it works! If you are interested in exploring the 3C's & Q model, below is a video I am currently using with classrooms right now. 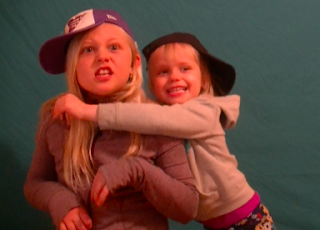 Murdock's Tip #2: Assign an “All About Me” project. Hmmm, that makes sense. Pretty much at the beginning of any year or course, teachers have students share something about themselves in some kind of artifact. These projects may range from the simple, ie: The Hashtag "Who Am I" selfie photo, from the beginning of this course, to giant posters or in-depth digital stories. The key is that it's about sharing who we are and establishing commonalities. However I wonder, would most online instructors see this as important? Or is there this perpetual rush to move into the content? Discuss the previous week with any type of encouragement or reminders needed. Discuss upcoming week assignments with particular details on assignments, best practices, and questions you typically get from students on the various assignments. Highlight something new and refer students to the Tips and Tricks section for a weekly extra on a tool or information. What I love about these tips is the fact that they are basically effective teaching practices that one would use in F2F pedagogy, but applied in the online world. It all makes sense, good teaching is good teaching... doesn't matter if the classroom is traditional or virtual. 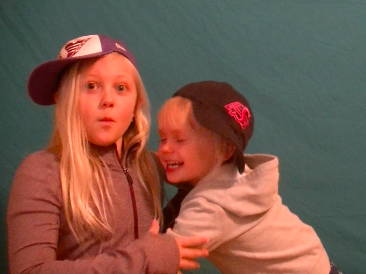 Even though video announcements would have evident benefits in online-learning, there could be a place for them in Blended as well. Students with learning or language needs would benefit from additional clarification, those who are absent (or were even present but not listening) would also find gains. In a post by Natalie, "Blended Learning so Many Questions", she raises many concerns regarding creating a blended course that meets the needs of her students. What I truly appreciated about her reflection, was the fact that she acknowledges that the needs of her students must drive the prototype design. However, this is my greatest challenge, designing a course for multiple student needs with the hope that the teacher who uses it, will make the effort to adapt it to their classroom context. How can I scaffold the content to a degree that it would constitute as personalized? My greatest fear for the course is that teachers will opt to only have students engage online, and skip the face to face component. Balancing face to face and online is important in ensuring that needs of the student are met. However, what role does online personalized learning have in encouraging independence and autonomy over learning? Could a blended model help if a student needs that added personal touch, that personalized learning may not offer? Sarah in her blog, "Blended Music LMS = Significant Difference", brings up this point. Based on her findings from Freebern Music, she noted that one of the most important aspects of blended learning is not only nurturing within students a desire for autonomy over one's learning, but also involving them in the process... This is the framework that will lead to lifelong learning. But how do we get there? One path to student driven lifelong learning is paved by the digital road, but where's the driver's manual? Who creates it? Perhaps it's a collaborative effort of the learning community. At this point, I don't know if I actually answered any of my initial questions. Quite honestly, the more I read, the more questions I have. I'm starting to blame this ECI 834 community... You are making me think too much. When I started this course, I had a plan. I thought I knew exactly how I was going to implement my Faith-based Digital Citizenship project. 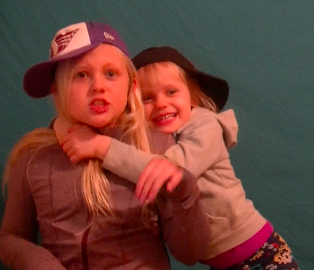 Now I seem to have just lots of questions, and they are starting to pile up. Ugh... I don't like reflecting and blogging anymore. Is the Medium as Important as the Message? 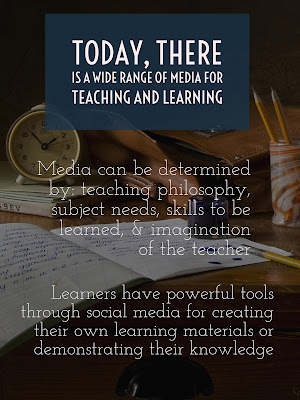 Before we can consider the pedagogical differences of media, we need to reflect on the blog prompt on our own learning preferences when it comes to digital resources. Rather than sharing my thoughts in text form, instead I composed a digital reflection via Adobe Spark. Using Adobe Spark demonstrates the different opportunities for sharing content and learning today. 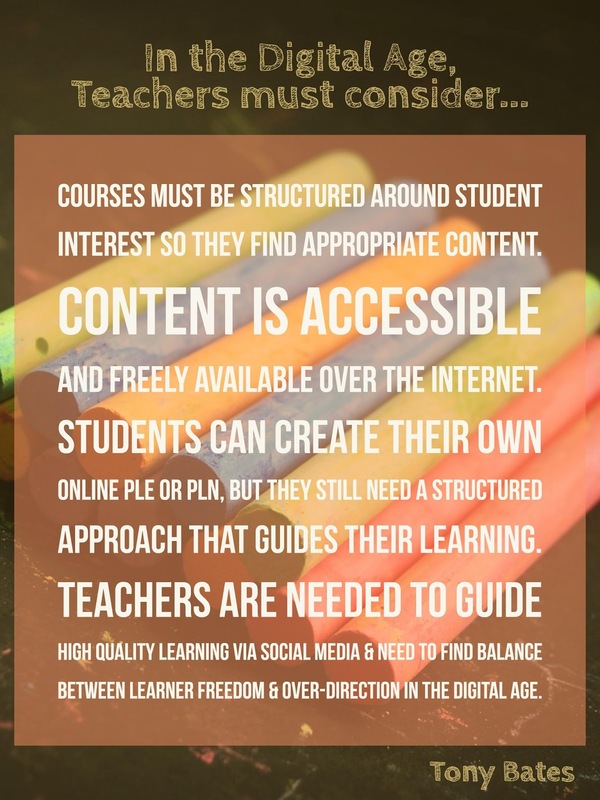 Since this chapter was about the different modes for student learning, I thought it would be be appropriate if I shared my key take aways from Bates in a series of digital posters via Adobe Spark... because once again, they offer another mode of sharing content. 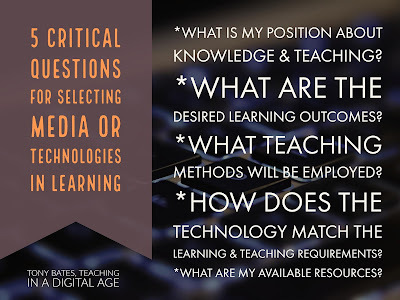 In Chapter 7, Bates examines the wide range of media platforms available for teaching and learning, and considerations that teachers need to keep in mind about the needs of the learner and content taught. Reading this chapter also encouraged me to look at my own project (which is probably what Alec and Katia had intended) and how I will meet the needs of the learner in keeping them engaged. A key idea to consider for our projects is that online courses must not only encourage critical thinking about information, but also provide opportunities for students to connect, collaborate and create. If the course doesn't offer this, then it will not meet the needs of the students. 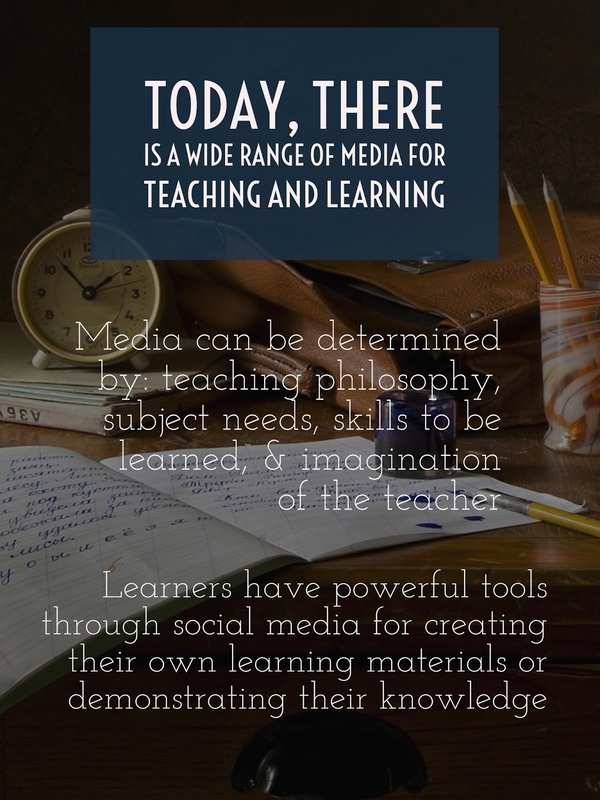 Andres in his post, "Bates and Blogs", says that "Having a good understanding of when, why and how we should be using certain forms of media is not only important for us as teachers, but it’s critical in making our lessons as effective and engaging as possible for our students." I fully agree with Andres' comment as he reinforces the point Bates makes that we need to choose digital mediums for learning based on the needs of the learner, not just because they exist. The importance of making lessons engaging is all the more important when we look to online learning, because if the student is not engaged, it's not like the teacher will be necessarily physically present to notice. So that leaves me wondering, what is the best way to effectively engage the learner in the online or blended world? And what challenges do we face in introducing new ways of learning in an environment that often gets driven by text-media? And my favorite, if you drop it in water... no big deal. So in spite of the fact that print will eventually morph into digital, the truth is, a big part of the way we take in information is through text. Bates states that, "one of the limitations of text is that it requires a high level of prior literacy skills for it to be used effectively for teaching and learning, and indeed much of teaching and learning is focused on the development of skills that enable rigorous analysis of textual materials. We should be giving as much attention to developing multimedia literacy skills though in a digital age" (Bates, 2015, 7.2) Really?! Although digital literacy is important, and Bates makes a good case, it should be noted that the priority for learning in early years is for development of literacy and numeracy. And this means literacy in the traditional sense (and sorry Mr. Bates) and does NOT include digital literacy. After reading other blogs, it was interesting to see that fellow members of our class felt the same way, Aimee, in her blog, "Thinking About Text, Video and MSN Messenger", said that she also struggled with the same notion. Although a big part of my job right now is to assist teachers with incorporating digital technology in classrooms, I believe digital integration must support nurturing literacy and numeracy. 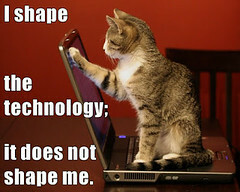 Indeed, technology should be integrated into learning, provided it supports student achievement of curricular outcomes. Therefore, digital literacy is best taught in conjunction with curricular outcomes. In Chapter 7, Bates stated that his goal was not to focus on the affordances or unique pedagogical characteristics of each medium as teachers will come to their own conclusions based on teaching assignment. Instead Bates says the "important point is for teachers and instructors to think about what each medium could contribute educationally within their subject area, and that requires a strong understanding of both the needs of their students and the nature of their subject area, as well as the pedagogical features of each medium" (2015, 7.1.4). I like this statement, because when you think about it, this is the heart of teaching. It doesn't matter what tools are afforded to us, it's about how these platforms or technologies can support learning. 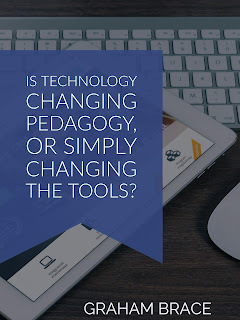 In a post a couple weeks ago, "Questions about Pedagogy", Graham wondered, "Is technology changing pedagogy, or simply changing the tools?". Good question Graham - you definitely made me think! This is what Bates was getting at in this chapter. Teaching is about understanding the needs of the student, the challenges of the content area in sharing information and skills, and the digital technologies available in the school or classroom environment. Effective teaching and pedagogy is still the same, it's just the tools that have changed. 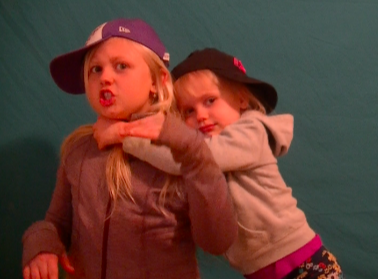 However that being said, there are perhaps just more ways to be effective. 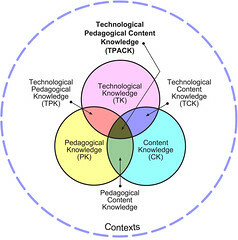 (PK), and Technology (TK)" The heart of the TPACK framework states that, "Effective technology integration for pedagogy around specific subject matter requires developing sensitivity to the dynamic, transactional relationship between these components of knowledge situated in unique contexts." When we consider effective tech integration, these are elements that need to be reflected upon: what is taught, needs of the learner, technological knowledge of learner and teacher (and what's available). Sound familiar? I think Mr. Bates in Chapter 7 was reinforcing TPACK, but perhaps in a more palpable manner. In closing, one of the things I really appreciated about the reading, were the five critical questions for selecting media or technology in education. 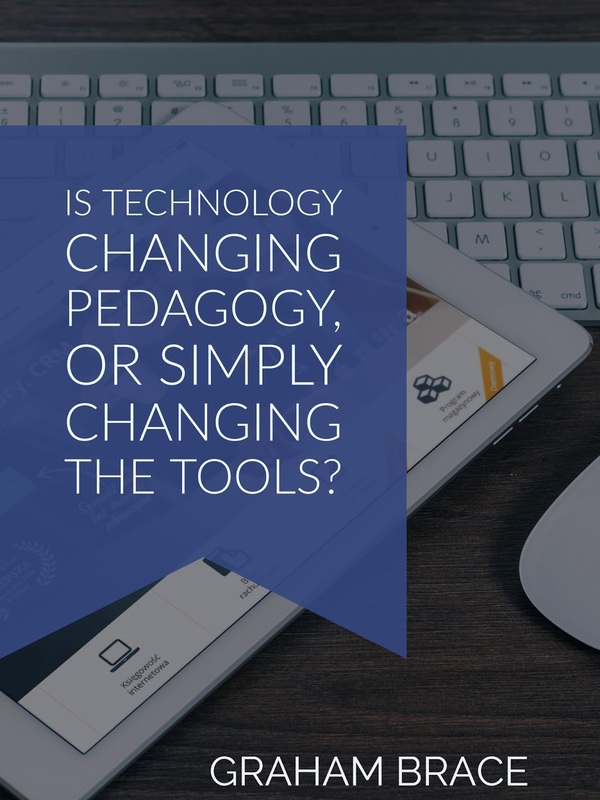 These questions can not only help educators make a informed decision about the forms of technology to be used, but also the role of the teacher and learner.